Directions: Wash hands with non-medicated soap (contains no benzoyl peroxide). Apply twice daily or as directed by doctor. Fair-skinned individuals should begin with one application. For more severe cases, and/or if substantial improvement is not apparent within 3-4 weeks, consult doctor. For external use only. Using other topical acne products at the same time or immediately following use of this product may increase skin dryness/irritation. If this occurs, only one product should be used unless directed by a doctor. Avoid contact with eyes. If contact occurs, flush eyes with water. Stop use if excessive skin irritation develops/increases. If irritation persists, consult a doctor. Do not use if safety seal is broken. Store at 15-30°C. This is a low-cost, low-concentration benzoyl peroxide product (which is rare). It does not irritate my sensitive skin like the higher concentration, standard B.P. products. 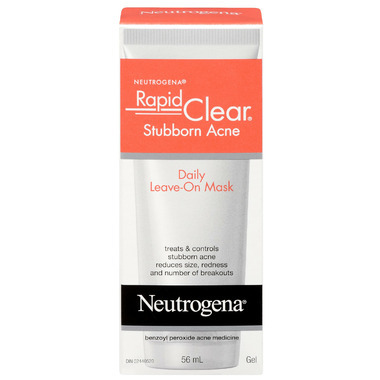 It is more effective at treating acne and blackheads than any salicylic acid-based product that I have ever used.